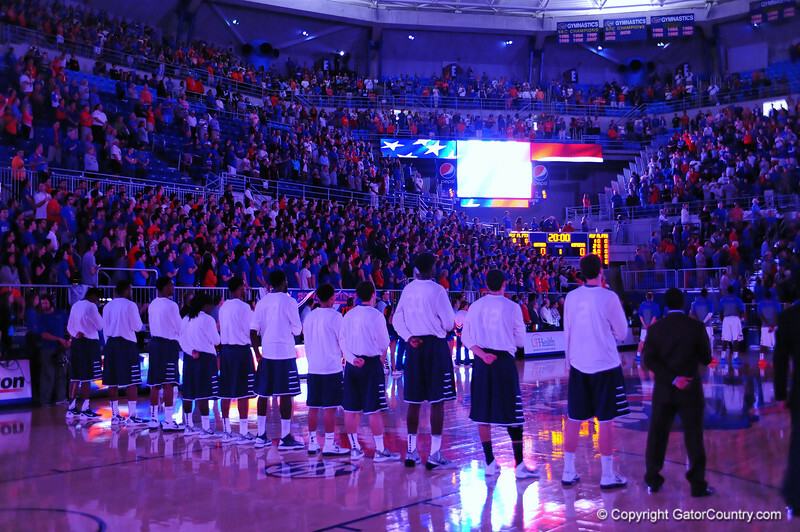 The lights dim in the O'Connell Center for the national anthem before the start of the Gators basketball game. Florida Gators vs North Florida Ospreys. Stephen C. O'Connell Center, Gainesville, FL. November 8, 2013.